The Best Denver Hikes ranks this route as their most difficult, but its completely non-technical.. 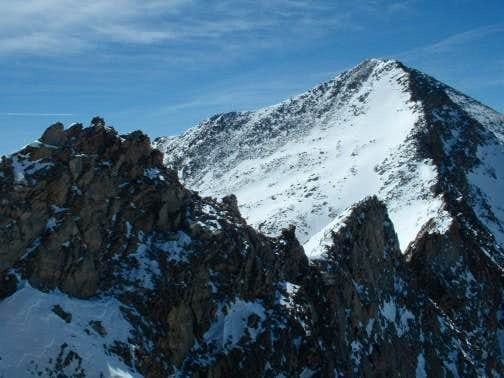 It has one point of significant exposure, along the Sawtooth, at a gendarme at the crux of the craggy ridge between two 14ers, Bierstadt and Evans. Other than that 1 scary spot, I'm hoping it's a relatively easy route -- as long as you follow the cairns and don't get lost. Bring gloves of some kind to protect your hands I think. The Tour d'Abyss goes in a clockwise loop, beginning from a small parking lot on the road up Mount Evans, at 13,300 feet, 2.3 miles above Summit Lake. If you think of the loop as a clock, the trailhead is at about 1 o'clock. You begin on a downslope, making your way down to the south side of the Abyss Lake Valley; 6 o'clock in the loop. Then you ascend across the "dented-in side" of the loop, to the summit of Bierstadt at 9 o'clock. Crossing the Sawtooth takes you from 9 to 11 o'clock. Once across, the ridge over to Evans passes through noon to about 1 o'clock. You finish up by descending Evans back to Summit Lake. Overall its 3000 feet of elevation gain and takes about 8 hours. It's only 6 miles all the way around. I figure we'll need a day that looks all clear and start down from Summit Lake sometime before 8 o'clock. 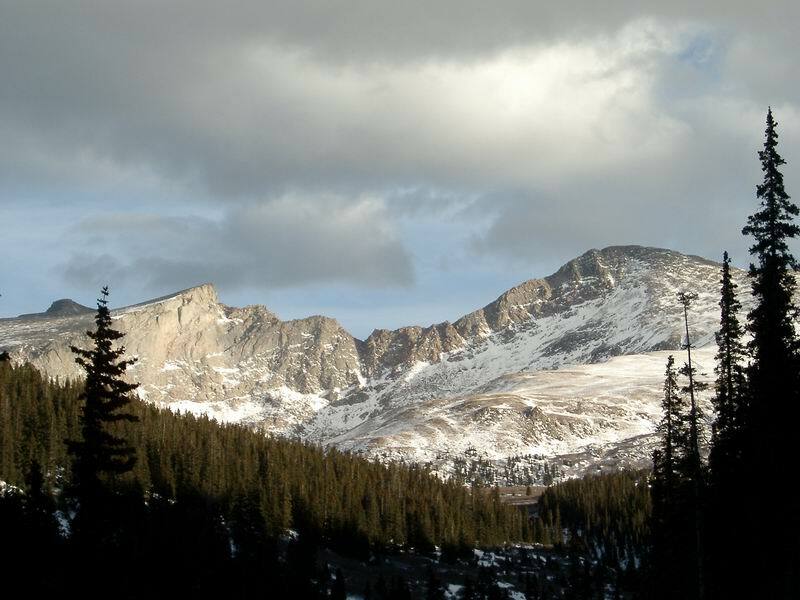 If we get a day with an afternoon rain forecast, we'd need to start at least 2 hours earlier, and might have to be prepared to hole up at Mount Evans if a storm hits. I've (illegally) included the trail description from Denver's Best Hikes. Seems totally doable, but the part through the Sawtooth sounds like it might be a little "bracing" if you're at all afraid of heights (as I freely admit to being). Nice post....we did this exact route last year and it took us 11 hours. It's nothing short of a marathon. It's fun though....however, I don't think I would do it again.